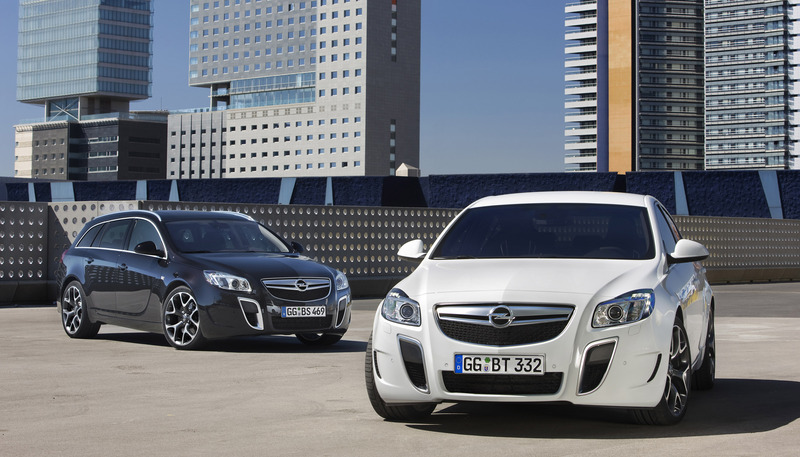 Dynamic and passionate driving has a new name at Opel: Insignia OPC. 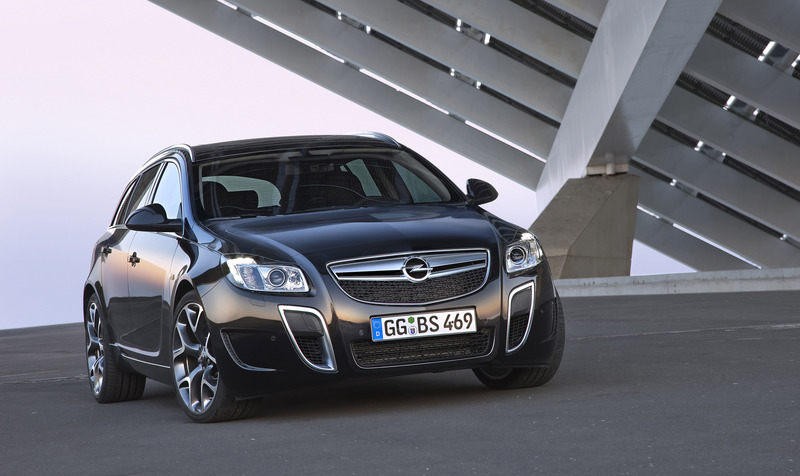 Its 2.8 V6 Turbo powerhouse with 239 kW/325 hp and a massive 435 Nm of torque makes it Opel's most powerful production car of all time. 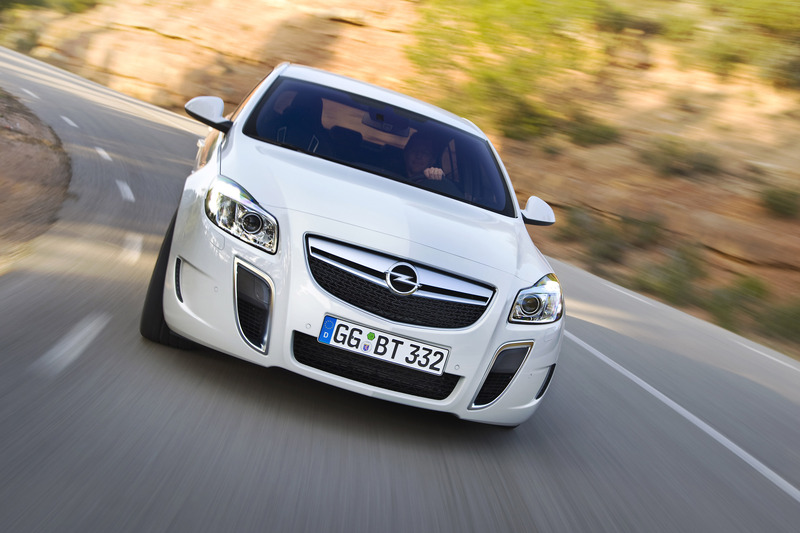 The high performance Insignia sedans reach a top speed of 250 km/h (restricted) and race from zero to 100 km/h in a mere six seconds. 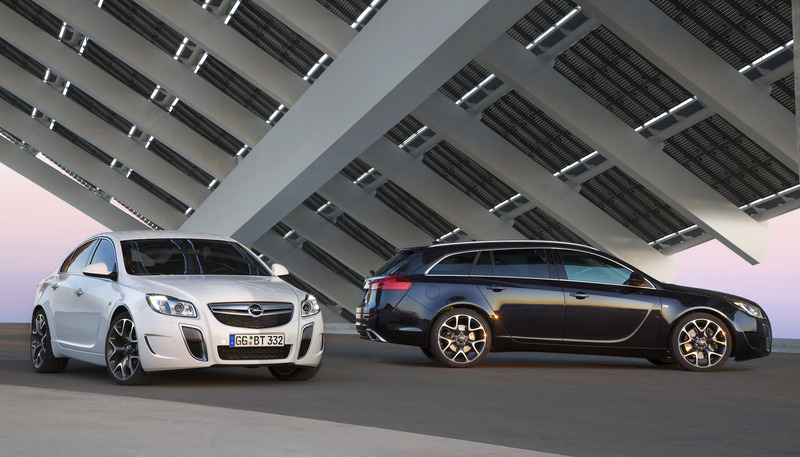 The OPC variants of the Car of the Year 2009 will be available this fall in all three body styles – notchback, hatchback and Sports Tourer. 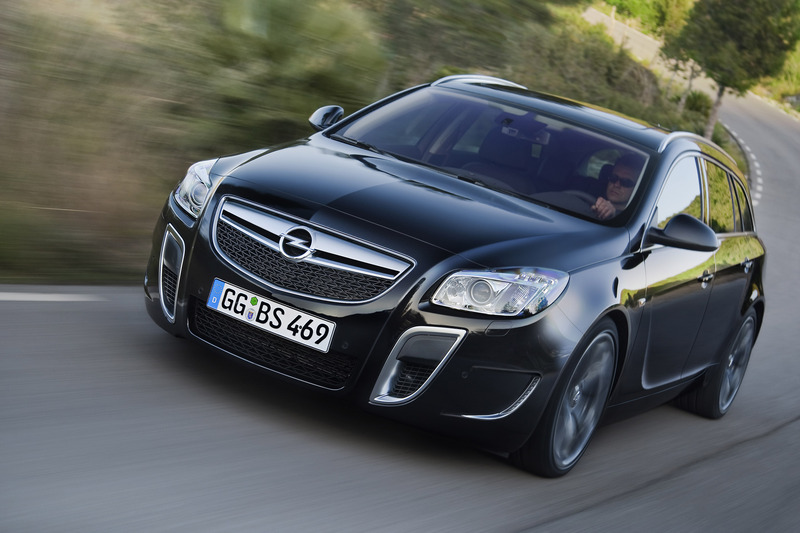 To mark the tenth anniversary of its successful OPC range, Opel has packed the Insignia with extra high tech features. 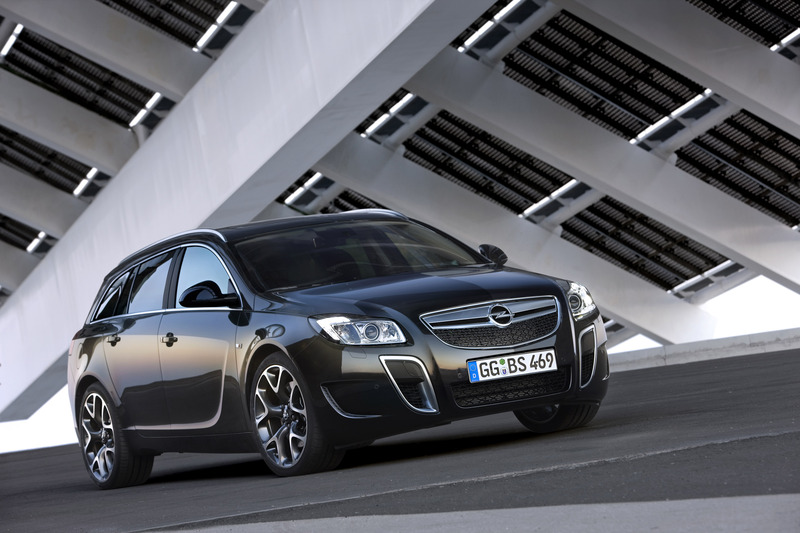 It is the first OPC variant to offer adaptive all-wheel drive and an electronic rear limited slip differential as standard. Its FlexRide damping system is specially tuned to give OPC drivers a more active driving experience. And, the Recaro front seats with four-way lumbar support and cushion extension are the first high performance seats in the industry to receive the most coveted seal of excellence from the independent orthopedic experts from Aktion Gesunder Rücken (Action for Healthy Backs). The car looks as hot as it performs, with tiger tooth-shaped air intakes in the front bumper, rocker panels, an integrated rear spoiler and specially designed 19" OPC wheels. Satin chrome finishes and expressive dual exhaust pipes integrated into the rear bumper add to the appeal. Inside, designers created a sporty dressing, with a dark headliner, a special shifter and a flat-bottomed, performance steering wheel. The instrument panel illuminates red when drivers press the OPC button on their FlexRide system, putting the car in its feistiest mood. 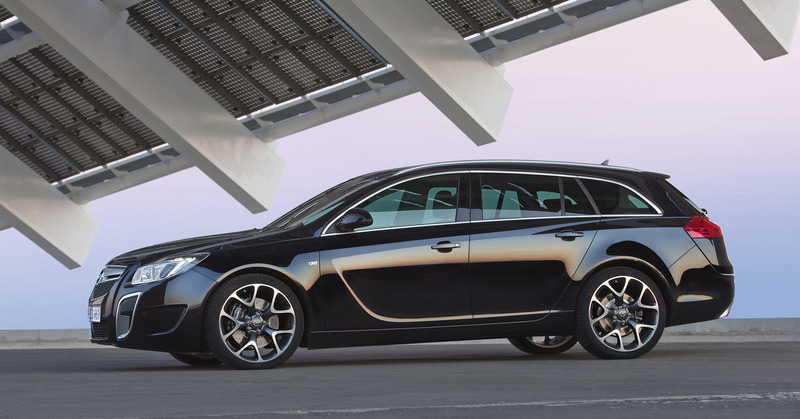 "While the ecoFLEX version shows our commitment to outstanding environmentally friendly cars, the OPC instills some hot chili flavor into the Insignia family. 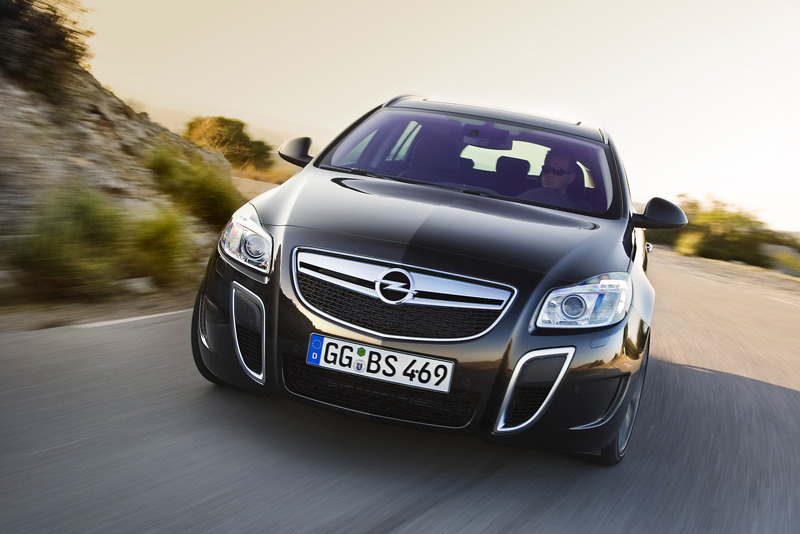 It spices up the driving experience," says Hans Demant, Managing Director, Adam Opel GmbH. 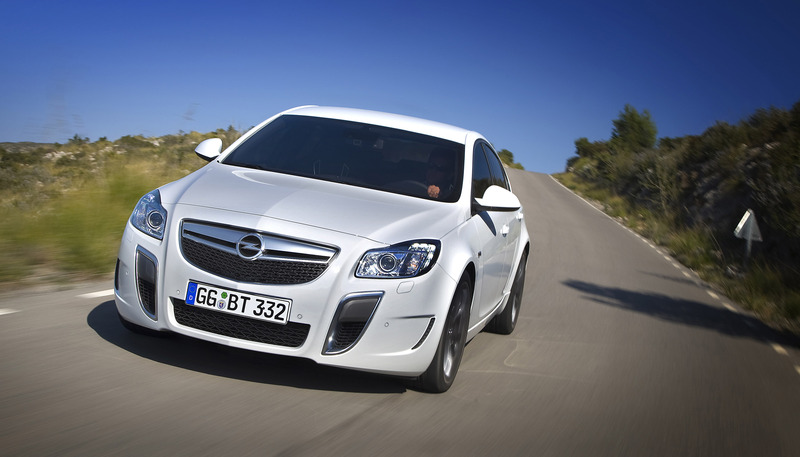 "It opens a new generation of OPC cars, offering mature power, refined efficiency and a lot of fun." For the first time, an OPC model is equipped with an adaptive 4x4 system and an electronic rear limited slip differential (eLSD). The four-wheel drive management unit has been recalibrated to adapt torque distribution to the sporty philosophy of the OPC. 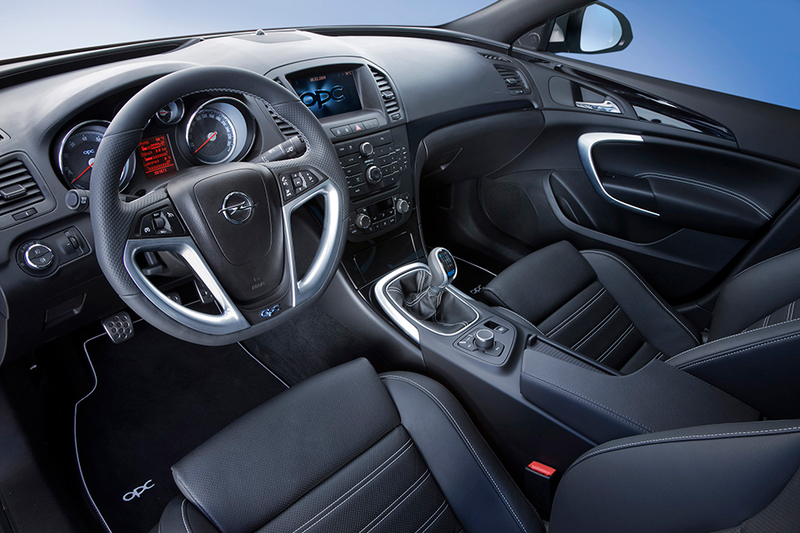 The Insignia OPC comes with the FlexRide electronic system which adapts damping and other driving functions to drivers' preferences. OPC drivers choose between a standard mode, for all-round performance ideal for everyday driving or a special Sport mode, in which the chassis suspension stiffens and reduces body roll for more agility. When selecting the OPC button, the drive goes into the third dimension: Steering gets more direct, the throttle is more responsive and the chassis settings go into performance mode. 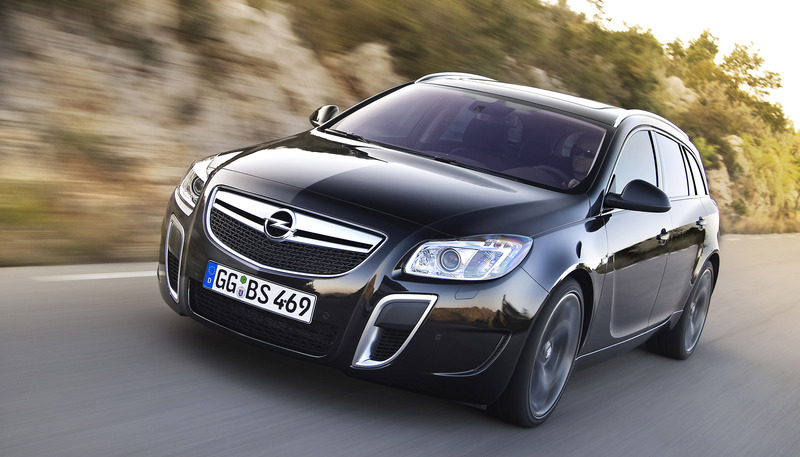 The High Performance Strut (HiPerStrut) front suspension architecture is designed especially for the Insignia OPC. With a reduced kingpin inclination and a shorter spindle length, it significantly evolves the McPherson strut from the standard Insignia. 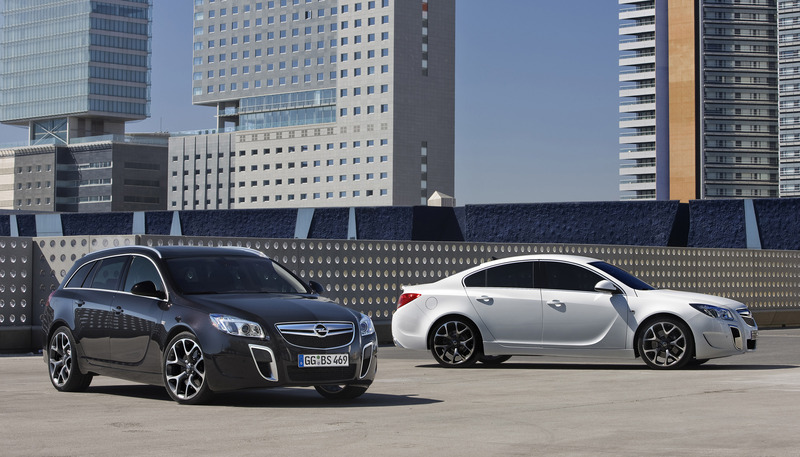 HiPerStrut reduces torque steering reactions, improves grip and increases cornering power, offering Insignia OPC drivers the crisp feel they expect, with enhanced precision and feedback. The Insignia OPC is equipped with 18" Brembo front brakes with large, 355 x 32 mm, cross-drilled discs, four-piston, high-strength aluminum calipers and high performance brake pads. Specially developed Co-Cast floating discs consist of a cast iron brake rotor and an aluminum disc bell. After intensive testing on public roads and at the Nürburgring Nordschleife, engineers from the Opel Performance Center in Rüsselsheim selected Pirelli P Zero 245/40 tires, which are fitted with flow-formed 19" wheels. An optional upgrade with 255/35 units is available on forged 20" wheels. 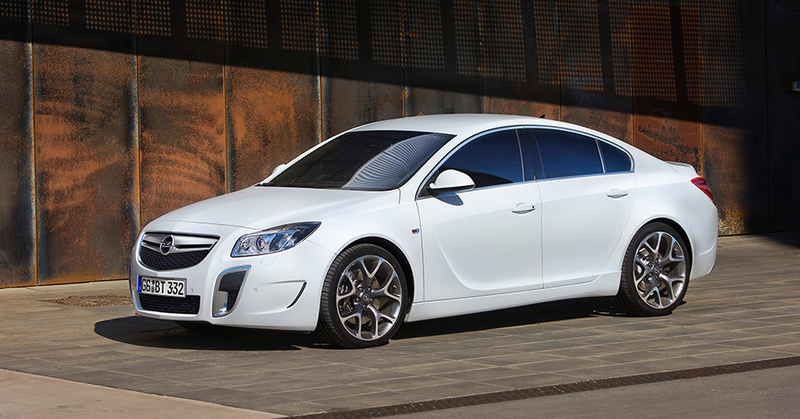 The Insignia OPC reaches a restricted top speed of 250 km/h and sprints to 100 km/h in six seconds. Elasticity, too, is remarkable: In only 7.1 seconds, it accelerates from 80 to 120 km/h in fifth gear. The 239 kW/325 hp OPC version of the 2.8 V6 Turbo benefits from a specific calibration of the engine management unit, an increased turbo boost pressure to 0.9 bar and a reworked exhaust system with a significantly reduced counter pressure. Developed by the specialist Remus, this stainless steel exhaust line is 20 percent lighter than the standard one. 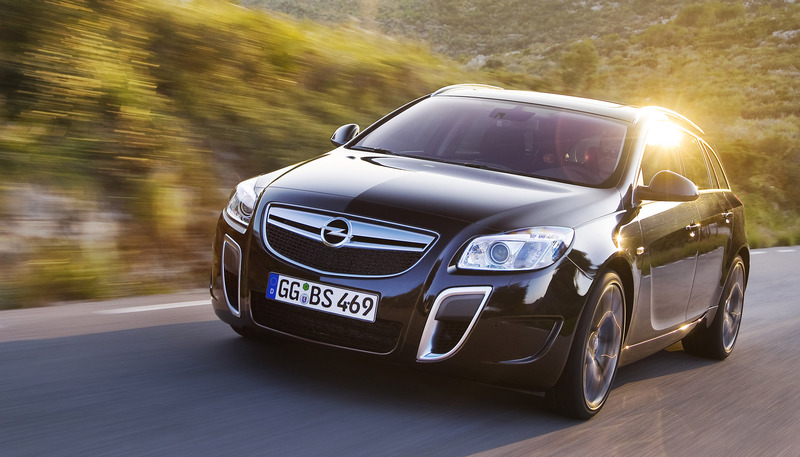 Because sound is so important in the appreciation of an engine, Opel acoustic engineers developed new center and rear mufflers. The high-tech 2.8 V6 Turbo engine comes with a 6-speed manual gearbox. To offer optimal performance, the final drive ratio was slightly shortened from 3.76 to 3.90:1 compared with the standard V6 Turbo Sport and Cosmo versions.